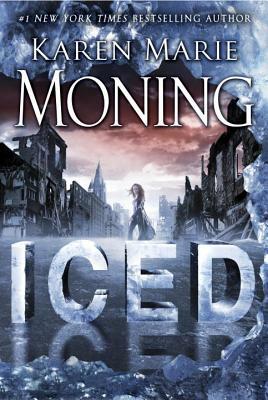 #1 "New York Times" bestselling author Karen Marie Moning picks up where "Shadowfever" leaves off with "Iced, " the sixth book in her blockbuster Fever series. "The year is 1 AWC--After the Wall Crash. The Fae are free and hunting us. It's a war zone out there, and no two days are alike. I'm Dani O'Malley, the chaos-filled streets of Dublin are my home, and there's no place I'd rather be. " Dani "Mega" O'Malley plays by her own set of rules--and in a world overrun by Dark Fae, her biggest rule is: Do what it takes to survive. Possessing rare talents and the all-powerful Sword of Light, Dani is more than equipped for the task. In fact, she's one of the rare humans who can defend themselves against the Unseelie. But now, amid the pandemonium, her greatest gifts have turned into serious liabilities. "Moning returns to the heady world of her Fever series, and the results are addictive and consistently surprising. . . . The best elements of Moning's sensual, shadowy epic are still here, from the sensual and enigmatic Fae to the super-alpha heroes and the breathless pace of their escalating conflicts. At its heart is a heroine whose development is likely to become the stuff of legends as this unforgettable, haunting series continues to evolve." --"RT Book Reviews"
"This is one of my favorite 2012 reads . . . It's engaging, hilarious, amazing and Dani is going to be one heck of a woman." --"USA Today"
"A gripping story that combines excellent storytelling with believable characters that are rendered both superhuman and superbly human, with emotional fragility and psychological vulnerability in an unstable world fraught with danger . . . Fast-paced, with nonstop action set in a fascinating urban fantasy world of Dublin under siege, this is a smart, bold and textured success. "─"Kirkus Reviews"
Karen Marie Moning is the #1 "New York Times" bestselling author of the Fever series, featuring MacKayla Lane, and the award-winning Highlander series. She has a bachelor's degree in society and law from Purdue University.